Submitted by Gone Fishin on Wed, 03/20/2013 - 03:51. Some of the property is listed below and more will be updated once I finish researching each and every single LLC connected to Jason Brooks. The property located on Judson Avenue is in the name of Alice Brooks. OWNERS NAME BROOKS, ALICE V.
It appears that Alice Brooks is the mother of Jason Brooks . Alice Brooks is a long time City of Cleveland employee- conveniently working as an Assistant Administrator for real estate transactions, development project, property research, eminent domain and legislation transactions. Considering that Jason Brooks is apparently connected to someone in order to benefit so much from taxpayer's generosity and that the mail from the Secretary of Ohio is delivered directly to Alice Brooks' mailbox, I believe this is a conflict of interest and possible insider trading relative to real estate in Cleveland, Ohio. The conflict of interest and possible inside trading is financially benefitting a possible relative to the City of Cleveland employee- who works in real estate and development for the City of Cleveland- ALICE BROOKS. Submitted by Gone Fishin on Thu, 03/21/2013 - 16:57. Will the mail for the 26 LLCs continue to be delivered to Alice Brooks home? Is this the same Alice Brooks? Submitted by Gone Fishin on Thu, 03/21/2013 - 16:59. Jason Brooks is assisting those to make a quick profit by receiving FREE or nearly free property from the county land bank and community development organizations- due to Jason Brooks' connections. Is Alice Brooks - employee for Cleveland Community Development - a connection to a posible relative's profit making scam? Community Development at its best!!!!!!! Alice Brooks has to be aware of the involvement since the mail relative to the 26 LLCs is being delivered to her mailbox. Submitted by lmcshane on Thu, 03/21/2013 - 09:51. Author’s Note: Land use and housing issues are vitally important to citizens of all communities. 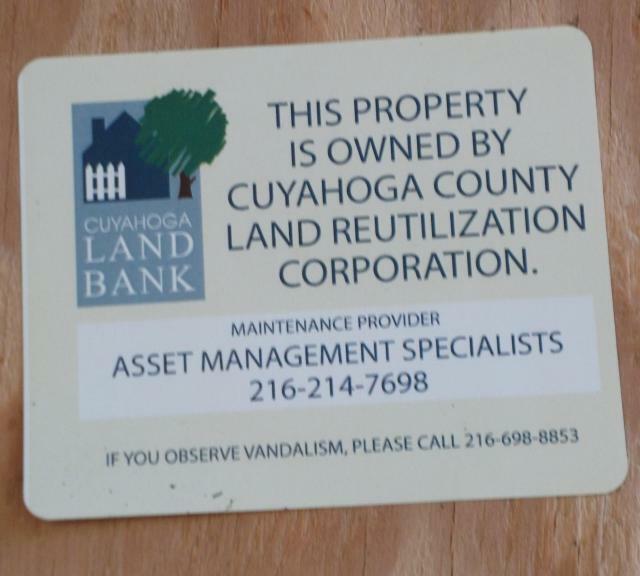 There have been numerous discussions around demolition of vacant properties in Cleveland and surrounding communities of late … some of it disingenuous or deliberately misleading. In an effort to bring some clarity to the conversation I’m embarking on a series of articles written from my perspective as a stakeholder in one of the neighborhoods in question. The issues are relatively complicated and obfuscation (as well as intentional omissions) abounds … which makes it difficult, if not impossible, for me to explain and do justice to the subject in just one article. Following is part two of a continuing series.